I was away from the house for two weeks, and in that time here are the books that arrived in my absence. There’s several dozen books here, some of them even ones I’ve written: two of the boxes here are author copies. But a significant number are from other authors. I’ll be posting a couple of “new books and ARCs” stacks very soon to catch up. 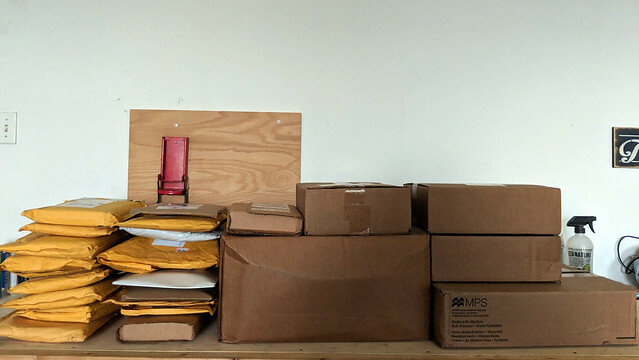 But if you were ever wondering about the inflow of books at the Scalzi Compound, this should give you some idea of what it’s like. Even for people who read fast, that’s a LOT to keep up with. How do you decide what you want to read or not? And what do you do with it all? Certainly any house would get overwhelmed with books fairly quickly! Even considering the paper as insulation instead of literature (as Jubal Harshaw did with his junk mail…) one would run out of space. WOW! (Stares off in the distance, wondering what it’s like to work at the postal substation/UPS facility serving the Scalzi compound’s area). Spider Robinson had a method of dealing with the overflow of reviewer’s copies he had when he was reviewing. I still shudder thinking about it! When people send you their book, what are their expectations of you (e.g., expecting you to read it and give you feedback, and/or expecting you to publicize it on your blog, etc.? ), and do their expectations always jibe with what you think is reasonable? And if not, does it lead to hard feelings? I remember from reading “Your Hate Mail Will Be Graded,” you had a strongly worded argument against people who expected you to invest your professional time to give free critique and whatnot to their writing. Maybe that was just for unpublished amateurs?…but then again, should it be any different for someone just because they managed to get published? 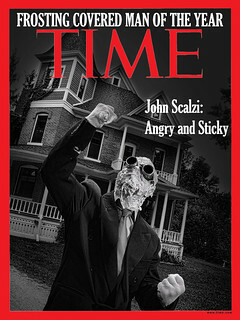 What Scalzi does with the books he gets: https://whatever.scalzi.com/2010/03/08/because-people-ask-book-acquisition-details/ (this is a few years old, but I assume it hasn’t changed). What’s the wee chair for? Nevermind the books, I want to know about the little red chair. Oh good, I’m not the only one wondering about the teeny chair. It looks a bit too big to be dollhouse furniture. That’s actually a regular size chair. The boxes and envelopes are REALLY big. The “chair” looks like some sort of hardware thing screwed to the plywood behind it. What its function is, I have NO idea. You are a legend at the local post office. Guaranteed. You should get a wood burning furnace. You’d heat your house for free. The “chair” might be an aluminum can smasher? for recycling. The “chair” is indeed a can crusher. robertreynolds66: What does Spider Robinson do with his books? Where are the pix of how much Smudge has grown? Please get to the important stuff. Thanks susan5660! I’ve been following here for several months and still feel like a newb. Would be nice if there were a “Whatever” FAQ. What’s in the big box in the middle? A new boxed set edition of all the “Outlander” books? 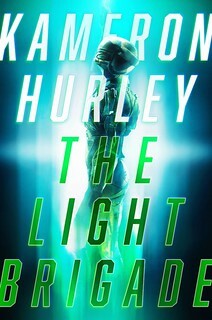 Your New Books and ARCs posts, and the comments on them, are very much appreciated. Thanks for taking the time to stack ’em and snap ’em, and to everyone who has thinky bits and bytes to share about them. Do you ever dive into them Scrooge McDuck style? Just out of idle curiosity, how many “author copies” of a book do you get? Usually two boxes worth, so between 40 and 50. You’re welcome, Pianoman. I found quite a lot of useful information in the right-hand side items (on a laptop – it’s harder to find on a mobile). Holy cow. Even for someone who likes books, that’s sort of … an aggressive assault. Do you ever go out and buy books? Or does all SF&F come to you, as minions to a wizard? And they just…SEND THEM? Random books arriving on my doorstep would be beyond awesome. Grrr. Can definitely say that among writers, you are definitely the man. I’m sure that the local library would enjoy any donations from this latest delivery.